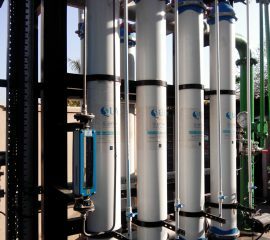 The client is in the business of exploring, developing and producing hydrocarbons within Kuwait. Since inception, the company activities have extended to include exploration operations, on-shore and off-shore surveys, drilling of test wells, and developing of producing fields in addition to crude and natural gas exploration. 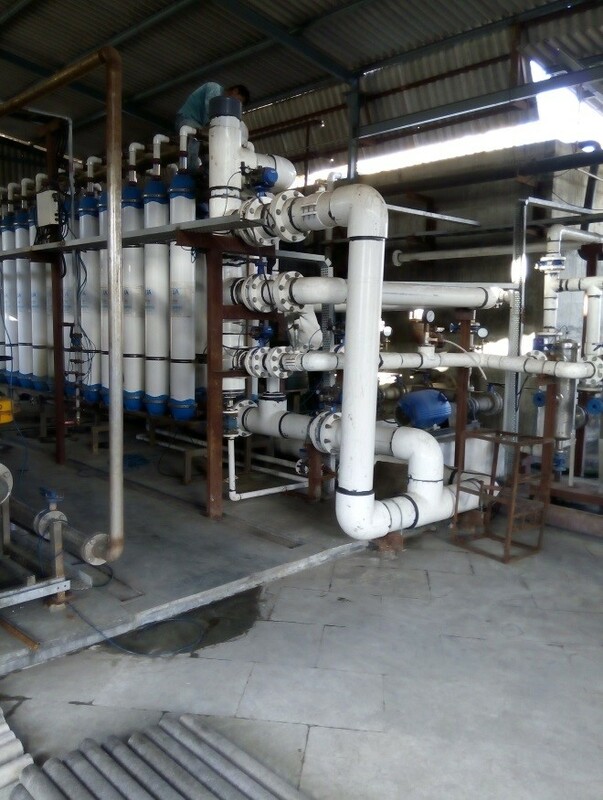 The client planned to install a water treatment plant (WTP) to treat the source water from another of their wastewater treatment plant, boiler blowdown and other wastewaters, and use the treated water as boiler feed water at their heavy oil development project. 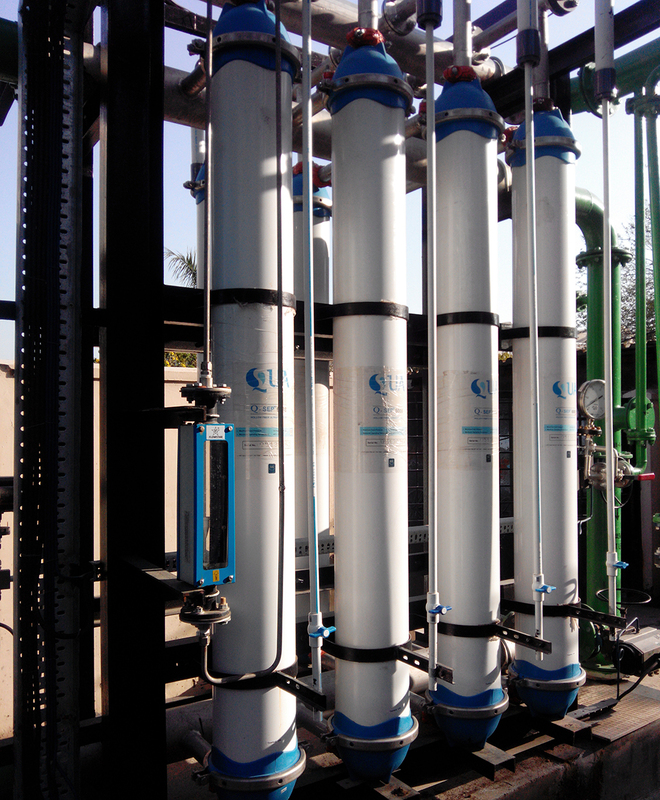 Ultrafiltration (UF) was selected as the pretreatment of choice to the RO plant. 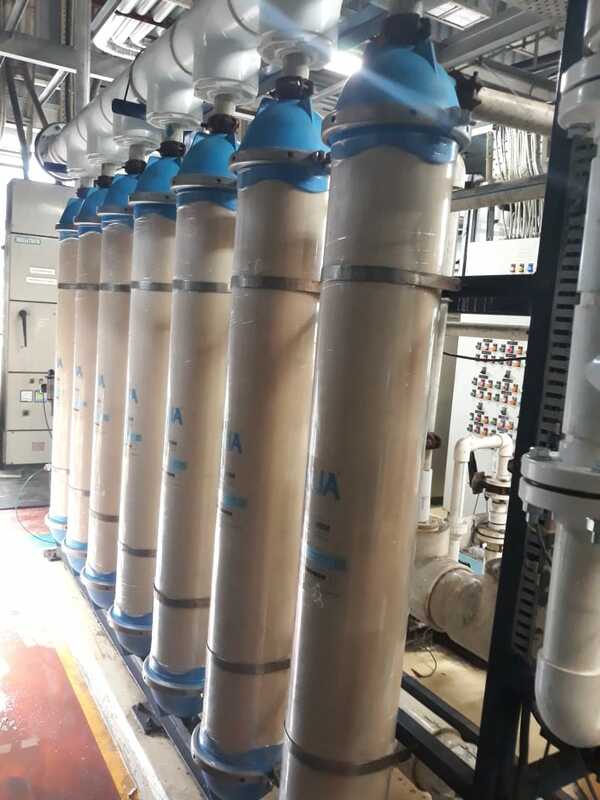 The primary goal of the RO pretreatment system was to reduce the silt density index (SDI) and turbidity of the water feeding the RO, to minimize cleaning and safeguard the RO membranes from fouling. 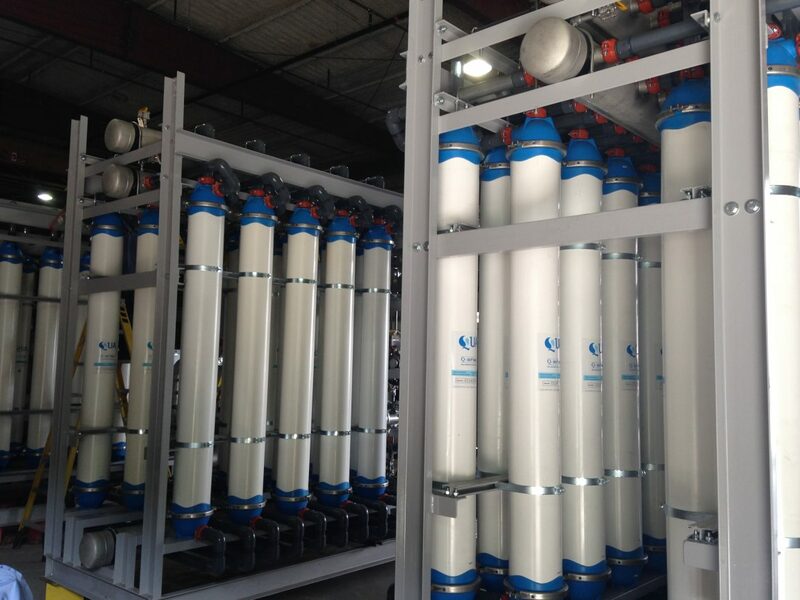 The feed to the UF system is filtered water from media filter units, and the UF will remove any residual suspended solids, colloidal matter and high molecular weight organics in the feed water, to achieve low and consistent SDI required for reliable and trouble free RO operation. 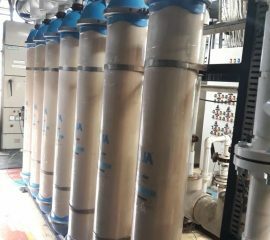 QUA’s Q-SEP modules successfully fit the plant’s requirements due to their large surface area and high operating efficiency, and Q-SEP ultrafiltration membranes were chosen in the RO pretreatment for their superior performance characteristics. Q-SEP UF system for the client comprises of 9 skids of 55 Q-SEP 6008 modules each. 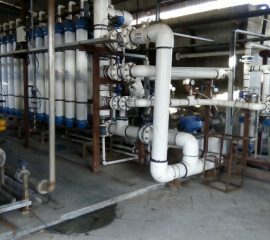 The membranes are arranged in two rows in each skid, with one row having 28 modules and the other having 27 modules. The sub headers of individual rows are connected to a main header. 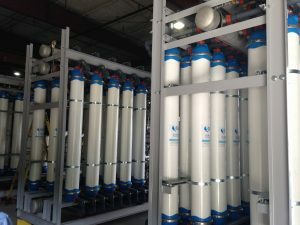 The membranes have inside out filtration configuration, and the UF units are designed to operate in a dead end mode with no continuous reject during the filtration cycle.